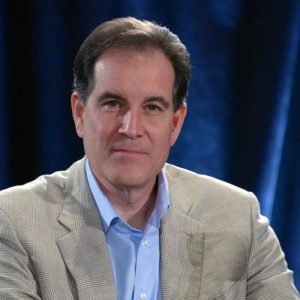 Serving as lead play-by-play announcer for CBS Sports’ college basketball coverage for the 14th consecutive season, Jim Nantz has called play-by-play on more network broadcasts of the Final Four and championship game than any other announcer in the history of the tournament. 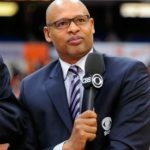 He also co-hosted the Tournament and hosted the Final Four for five years (1986-90) and was inducted into the Naismith Memorial Basketball Hall of Fame as recipient of the Curt Gowdy Media Award in 2002. Nantz was winner of 1998’s National Sportscaster of the Year Award and joined CBS Television Network in 1985 as host of its college football studio show. 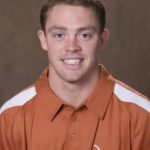 He also currently serves as anchor of THE NFL TODAY. Nantz has hosted THE SUPER BOWL TODAY, CBS Sports’ Super Bowl pre-game show for Super Bowl XXXV and XXXVIII. 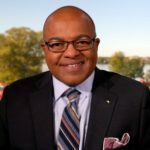 He extensive credits at CBS include anchor of golf coverage, including The Masters and the PGA Championship, and primetime host of the 1998 Olympic Winter Games. 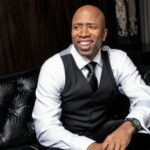 He has called play-by-play for the U.S. Open Championships, NCAA track and field, skiing, speed skating baseball, swimming and diving, gymnastics, U.S. Olympic Festival and Pan American Games. Nantz also handled play-by-play duties for the regular and post-season coverage of THE NBA ON CBS (1986-89) and served as host of CBS’s coverage of the Macy’s Thanksgiving Day Parade (1994, 1995, 2000 &; 2001) and co-host of weekend daytime coverage of the 1992 and 1994 Olympic Winter Games, Cotton Bowl (1985-88), and the Heisman Trophy Award show (1986-88). 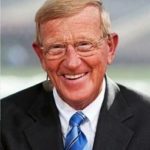 He was lead play-by-play announcer for college football (1989-90) before moving on to cover the NFL (1991). By 1993, he was the Network’s No. 2 play-by-play announcer for the regular-season and post-season broadcasts. He returned as lead voice of college football in 1996 and moved into the studio in 1997 to anchor COLLEGE FOOTBALL TODAY. Nantz earned a degree in radio/television in 1981 from the University of Houston, where he played on the golf team. Nantz received honorary doctorate of humane letters degree from his alma mater in May 2001 in recognition of his contributions to his profession and the university.